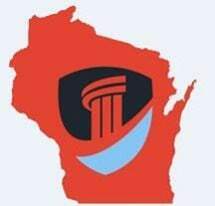 At Wisconsin Injury Help, the full-service law firm's attorneys dedicate their efforts to ensuring the residents of central Wisconsin have access to high-quality legal representation when facing a variety of complex challenges. Whether you need representation due to an accident, the experienced attorneys at Wisconsin Injury Help can assist you. All of the firm's attorneys have experience in both negotiation and litigation, enabling them to help you pursue the path that best fits your needs. If you would like to learn more about the firm, you can schedule a free initial consultation .